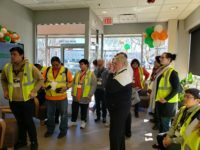 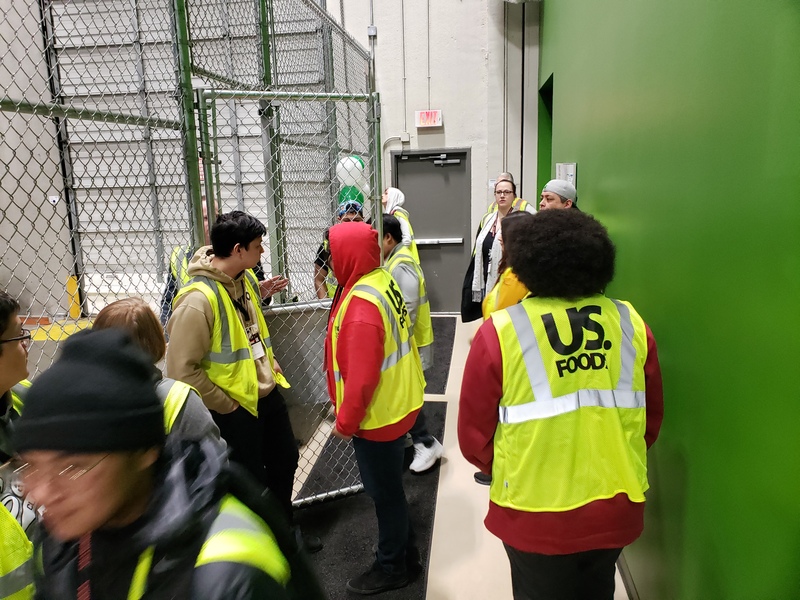 Students were invited to go to the USFoods Open House this week on a field trip! Kathryn Bart’s culinary students were invited and spent most of the day eating amazing food and learning about where the school’s food is supplied from. 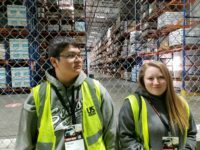 USFoods is the distributor for Muckleshoot Tribal School’s breakfasts and lunches. They work closely with our school’s kitchen to help create the awesome menu that the school provides. 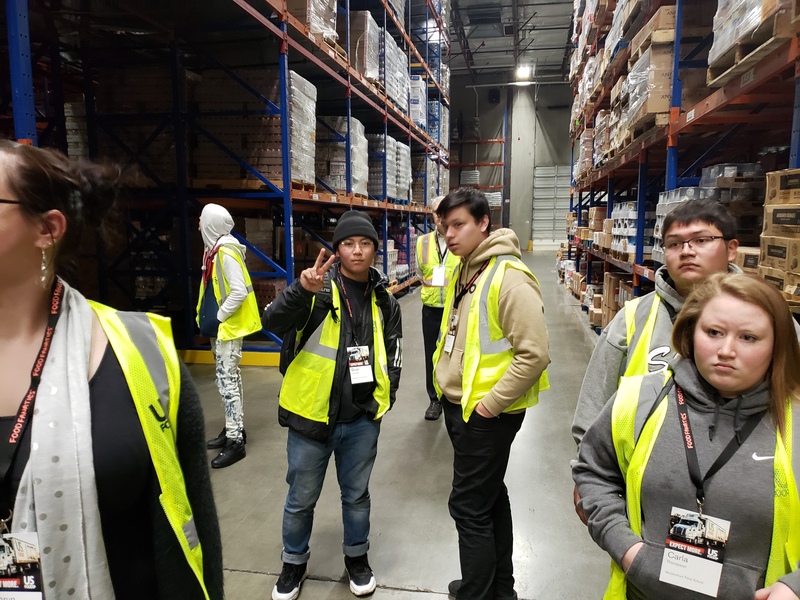 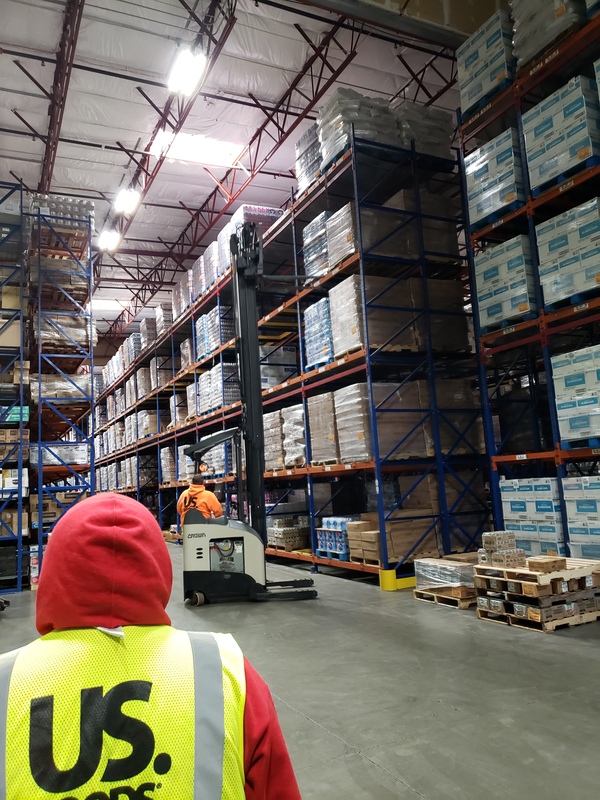 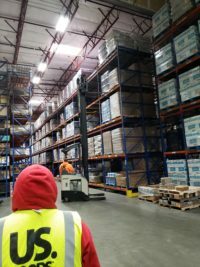 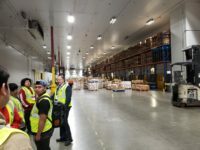 Students were taken on a tour of the warehouse, starting at room temperature and going all the way back to the freezer (which can get down to -20 degrees!). Students also got to see the new technology that USFoods uses at their facility, which included a huge bay of batteries to operate all of their machinery. 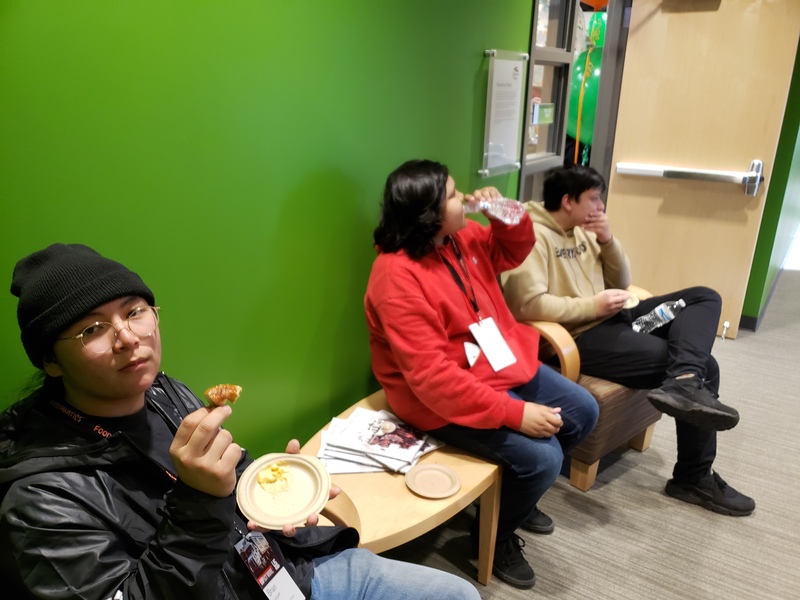 After that, everyone got to enjoy an awesome lunch in their marketing room. Students got to try never-sold, brand-new products! 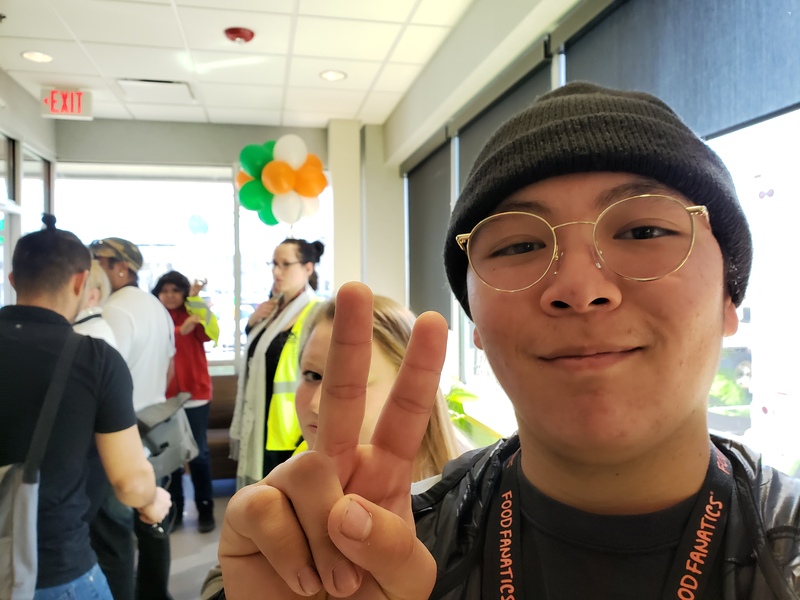 They provided feedback and got some new ideas of things to make in culinary class. 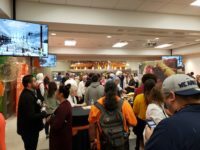 Student favorites included: prime rib, Tetris tater tots, prickly pear lemonade, and prosciutto. 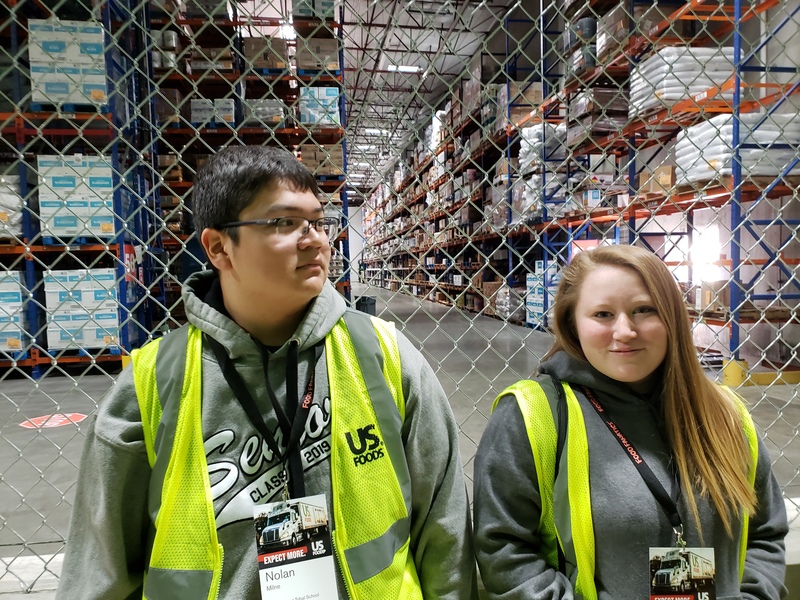 It seemed like everyone at USFoods knew about Muckleshoot Tribal School and was eager to talk to students about opportunities in the culinary field. 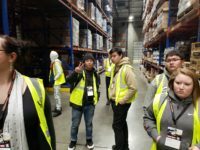 This field trip was a great chance to extend the lessons that students have been learning in culinary arts and see it happen in the “real world”!